He was just another tourist in Rome, and he did what the others did. He found a place to stay near Piazza di Spagna on Via Margutta. He toured the Sistine Chapel and became enamoured of the paintings by Michelangelo and Raphael. He hung out with friends in the Hotel della Minerva by the Pantheon and took photos from its lofty terrace. He noticed the pretty girls of Rome and admired even their shoes. He toured Pompeii and Naples and was deeply impressed by Vesuvius. And then he met a beautiful young woman -- a fellow foreigner -- fell rapturously in love, and married her. 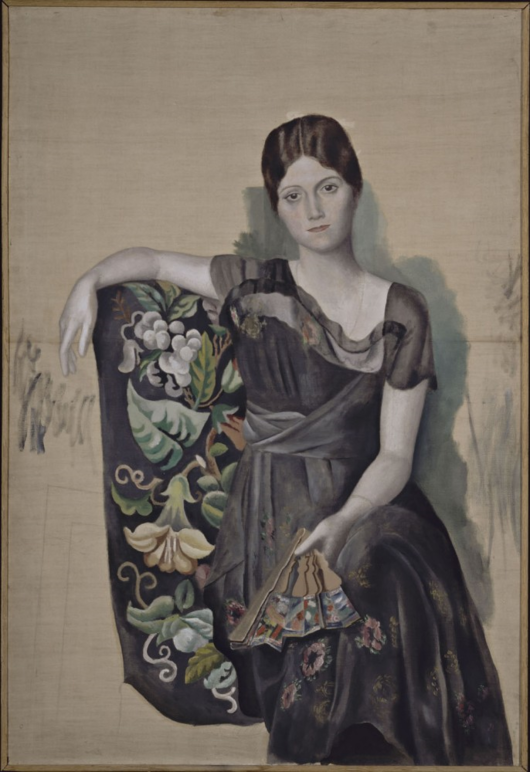 Picasso came to Rome on Feb. 17, 1917, to work with Sergei Diaghilev, founder of the Ballets Russes, in preparing the sets, stage curtain and costumes for "Parade," an avantgarde ballet that was to have its debut in Paris but was being put together in Rome. It was wartime, and many of Picasso's friends (though not the artist himself) were soldiers. 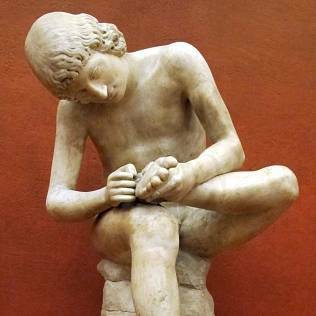 "He was sad and had little work," said chief exhibition curator Olivier Berggruen, of the Musée Picasso in Paris. The new project brightened the artist's life. It was further brightened when, meeting with the dance troupe at the Hotel Minerva, he also met the Russian ballet dancer Olga Khokhlova. Olga became his muse and his wife, the mother of his little boy Paulo. 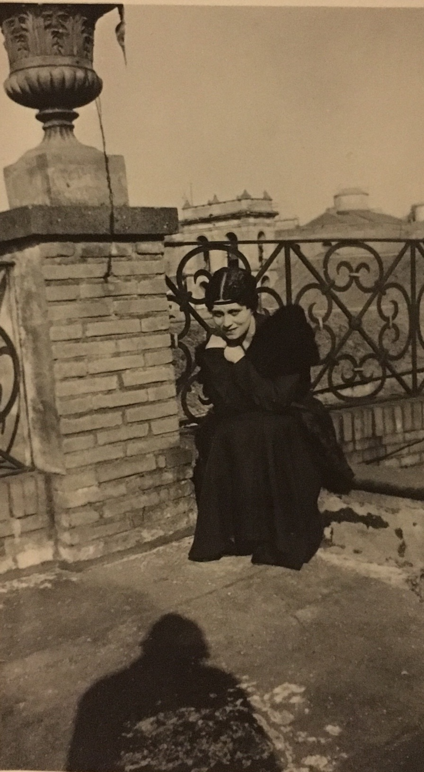 Three photos he took of Olga seated on the rooftop of the Hotel Minerva are on view in the exhibition along with stunning paintings of her. Other friends in Rome were composer Igor Stravinsky and choreographer Leonide Massine. In a letter to Gertrude Stein he wrote, "I am working all day on the sets and on making the costumes... I've also done many sketches and caricatures of Diaghilev, of [Russian artist Leon] Bakst, of Massine and of some ballerinas, [as if] amid the ruins of Pompeii." This was Picasso's cubist period, but nevertheless the influence of Michelangelo and Raphael are distinctly visible within the paintings in the exhibition. Besides inspired by classical sculpture, "Picasso relished the lively atmosphere of the streets of Rome and Naples," said Berggruen. In Naples, where the Ballets Russes was performing, he was impressed by the figure of Pulcinella, whom he chanced to see in a puppet theater performance on the street. Pulcinella evolved gradually into a mainstay of Picasso's later work, the harlequin, which demonstrated Picasso's theory that the popular arts are worthy. In 1920 the team of Picasso, Stravinski and Massine would produce the ballet "Pulcinella," with music inspired by that of the 18th century Italian composer Giovanni Battista Pergolesi. And in one painting he depicted the young son Paulo as a harlequin. With music by Eric Satie, "Parade" was first performed at the Theatre Chatelet in Paris the following May, to praise and jeers in equal parts. 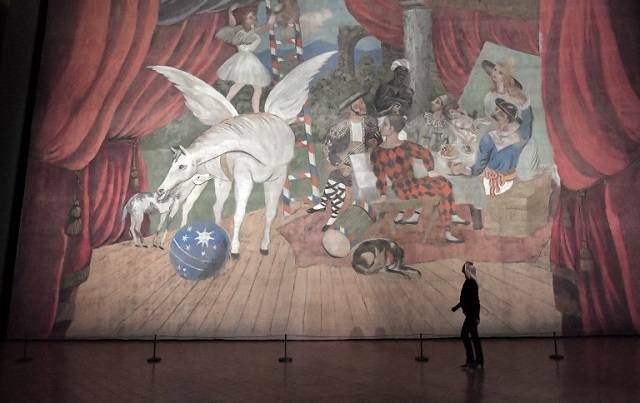 Its gigantic stage curtain painted by Picasso, which measures 52.5 by 33.8 feet, is contemporaneously on view in Rome's Palazzo Barberini. It is Picasso's largest painting, and is decidedly romantic; as one art historian here put it, "That curtain is the opposite of 'Guernica.'" Associate curator of the exhibition, a coproduction by Ales SpA and MondoMostre Skira, and Anunciata von Liechtenstein. 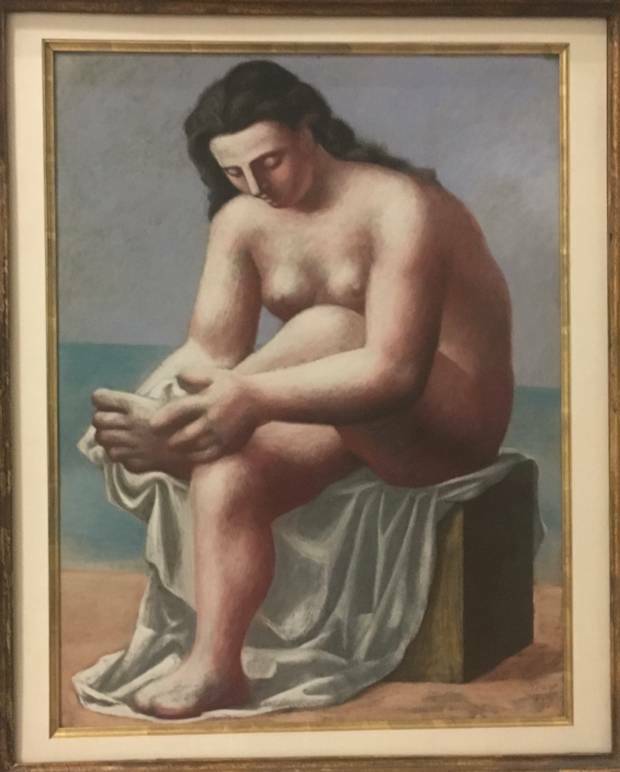 Paintings are on loan from 38 museums including the Musée Picasso, the Tate in London, the Centre Pompidou in Paris, the Berggruen Museum in Berlin, the Fundacio Museu Picasso of Barcellona, the Guggenheim and the Metropolitan Museum of New York.